The new 2018 Maruti Suzuki Swift has been setting the sales charts on fire. With more than a lakh booked in less than 3 months of time, the new Swift looks all set to shatter every sales record posted by any car on sale in the country. The new Swift really has a lot going for it. For starters, it looks really funky and even offers a more spacious cabin. It’s lighter, which means it has higher performance and fuel efficiency on offer. Moreover, there are a lot of standard features on offer, which means you get essentials like ABS and dual front-airbags on all the trims. 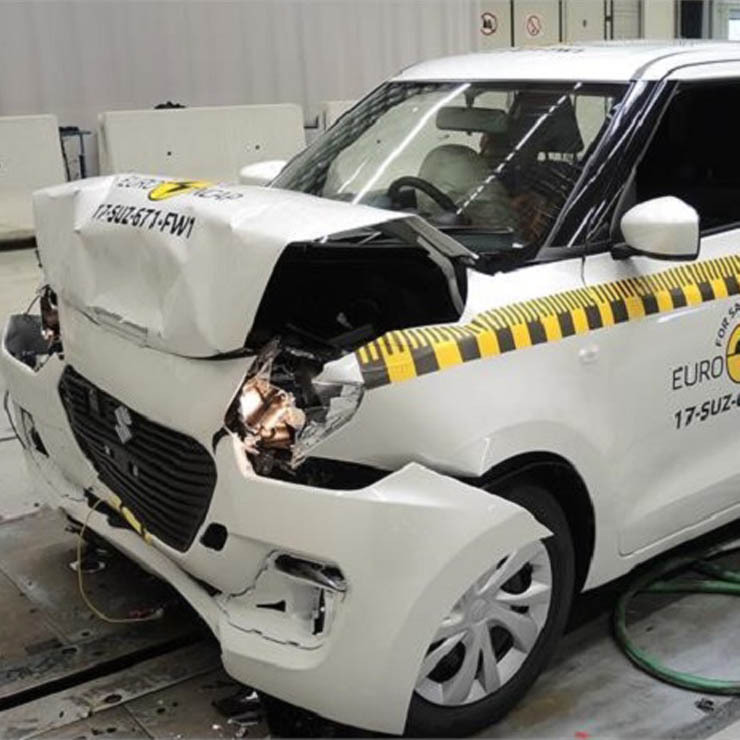 While these do make the car safer than many other options, the new generation Suzuki Swift has bagged a 3-star rating in the European New Car Assessment Programme (Euro NCAP) crash tests. The new Swift has received a 3-star rating for the standard variant. The optional safety pack-equipped model received a 4-star rating as the autonomous braking feature reduced the speed of the car as soon as it sends the upcoming crash barrier. It may be noted here that the new Swift is based on a lightweight platform, which makes the car both lighter and stronger. The standard variant of the Swift, which has received a 3-star rating, scored 83% in adult occupant protection and 75% in child occupant protection. 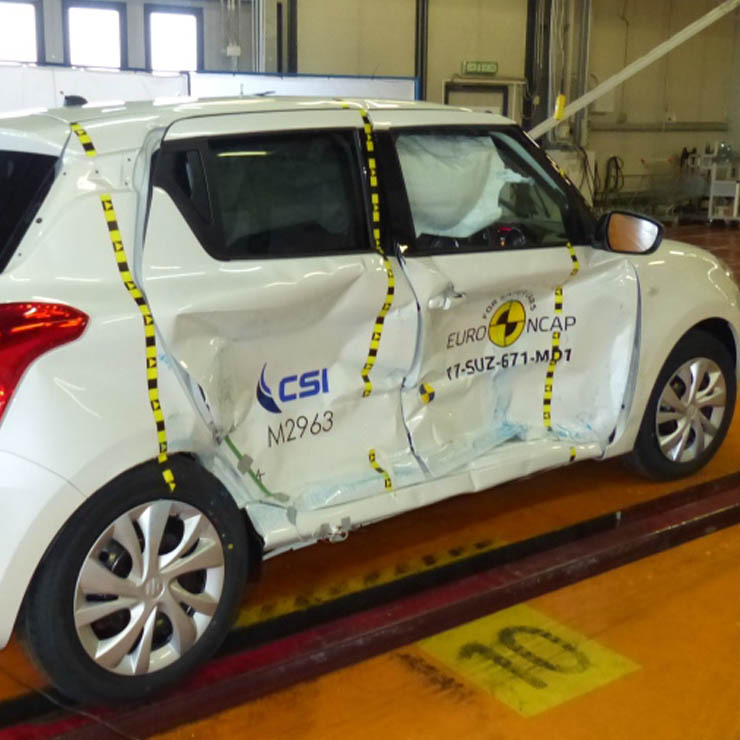 As seen in the crash test, the passenger compartment of the new Swift remained stable in the frontal offset test. The dummy occupants in the front seats indicated a high protection for the knees and femurs of front occupants. 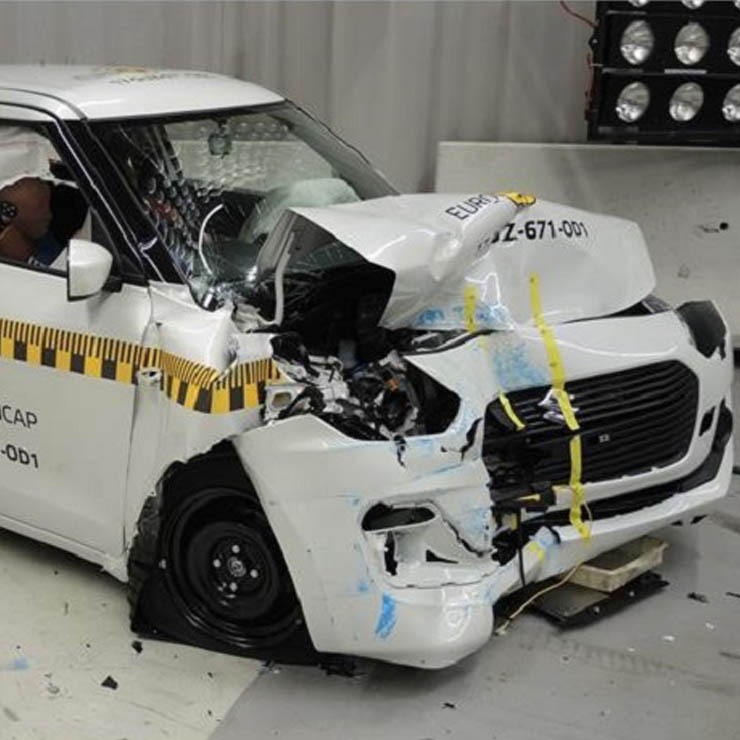 The full-width rigid barrier crash test, however, showed a marginal protection of the chest for both the front occupants. That said the protection level for critical body areas has been rated as good or adequate. The new Swift scored maximum points in the side barrier and side pole impact tests. Whiplash protection was judged as good for the front passengers and poor for the rear ones. The new Swift scored 695 in Pedestrian protection, with the results showing that the hood provides ‘good or adequate’ protection to the head of the pedestrian in case of a crash. The bumper scored maximum points as it offered good protection to the pedestrian’s legs. The model that was put to the test was a right-hand-drive petrol variant equipped with a 1.2-litre engine. The car has a kerb weight of 855 kg and comes with dual front and side airbags, seatbelt pre-tensioners, and load limiter. Standard features also include ISOFIX child mounts for the rear seats and a seatbelt reminder alarm. The Indian version of the new Swift offers only dual front airbags instead of the six airbags available abroad. However, you get ABS, seatbelt pre-tensioners and ISOFIX child seat mounts even on the Indian model.